Contact your local planning agency (RPC, County, etc.) if your development falls within one of these designated areas (see below) or undesignated areas (also below). DNR will receive applications for urban service amendments through the local or regional planning agency. Each agency has specific proceduers and processes that should be followed and they will work with you. uploading the proposed amendment and related reports to the SWIMS database. emailing a notification to DNR of the uploaded amendment request and providing the URL of where the amendment is located. communicating with DNR on any environmental issues or public comment issues through sending public hearing minutes with the proposed amendment. DNR logs proposed action into tracking database and reviews the proposal for conformance with the Areawide Water Quality Management Plan (and local SSA Plan) for conformance with water quality issues and environmentally sensitive area delineations. DNR issues an administrative decision in the order that the request is received. Exceptions to this FIFO rule involve large updates or amendments that require more extensive review and additional public input. Small amendments can be processed as quickly as 30 days. Large amendments may take 2 or 3 months from the time they reach the DNR to the time an administrative decision is issued. DNR will notify the agency that submitted the amendment of our administrative decision by email. We send the administrative decision letter to the agency and will copy affected parties and/or the agency will forwad the news to the affected parties. DNR will store the documents in its database in perpetuity and keep the paper file for a timefame dictated by document disposition rules. What is sewer service area planning? Sewer service area planning plays an important role in keeping Wisconsin’s water safe for drinking, recreation and diverse aquatic life. Sewer service area planning is not intended to restrict a community’s growth, obligate wastewater treatment plants to provide sewer throughout the planning boundary, or affect community annexation policy. Planning accommodates future growth, while at the same time consolidating wetland, shoreland and floodplain protection programs within a community-based plan for sewered development. Communities develop sewer service area plans to create a logical structure for wastewater treatment. The plan is a first step for many communities in developing a 'nested' management scheme: the SSA Plan reflects the goals and objectives of regional, comprehensive or master plans and facilities plans and subsequent plans and specifications for sewer lines provide the detailed engineering for the community's wastewater needs. Together, these plans support the state's Areawide Water Quality Management Program, of which Sewer Service Area planning is one component. [More about sewer service area planning participation processes]. Sewer service area plans are developed for individual communities and for multiple communities served jointly by one wastewater treatment plant. The plans use 20-year population projections, local density standards and an inventory of areas identified as environmentally sensitive for projecting and evaluating wastewater treatment and collection system needs for 20 years into the future. Participating communities are thus planning for future growth versus reacting to unanticipated demands. Sewer service area plans incorporate and support local land use plans, employment trends and development trends. Land needs, commercial/industrial uses, and residential uses are projected and accounted for in the process. Property owners and local governments within the sewer service area benefit from environmentally safe, low-maintenance, and cost-effective wastewater treatment. Community sanitary districts benefit by identifying the wastewater system improvements necessary to meet future growth projections. NR121.05(1)(g)2c defines environmentally sensitive areas as: "major areas unsuitable for the installation of waste treatment systems because of physical or environmental constraints are to be excluded from the service area. Areas considered for exclusion from sewer service areas due to potential adverse impacts on water quality from both point or nonpoint source pollution include (but are not limited to) wetlands, shorelands, floodways and floodplains, steep slopes, highly erodible soils and other limiting soil types, groundwater recharge areas, and other such physical constraints." Defining environmentally sensitive areas is one of the most important components of your SSA plan. These areas are excluded from sewered development to protect water quality. The code definition for environmentally sensitive areas is repeated below and should be included in sewer service area plans because, from a natural resource protection perspective, virtually everything we do in sewer service area planning relates to water quality protection and it can not be forgotten; this is our authority. The DNR uses the term "environmentally sensitive areas" rather than the term "environmental corridors", principally due to the current inconsistent use of the term environmental corridors throughout the state. In addition, the term environment corridor confers the need for the subject resource to be linear or contiguous within the SSA; however, this contiguity is not required for the area to be sensitive and in need of protection under NR121 for maintenance of water quality. Though it is true that many environmentally sensitive areas are associated with rivers or streams, many wetlands, springs, hydric soils, steep slopes and groundwater recharge areas are not necessarily linear. Moreover, if environmentally sensitive upland areas should receive legislative authority for their protection, many of the upland areas would diverge from the linear corridor configuration. The Department has an online tool to evalutate the location of sensitive species or habitat related to the Natural Heritage Inventory. This tool is available to municipalities and RPCs. Wetlands are areas where water is at, near, or above the land surface long enough to be capable of supporting aquatic or hydrophytic vegetation and has soils indicative of wet conditions (NR 103, Wis. Adm. Code). All wetlands, including those identified in the Wisconsin Wetlands Inventory maps, should be identified as environmentally sensitive areas and excluded from sanitary sewer service areas. Groundwater quantity and quality issues may factor heavily into complex hydrologic regimes involved in potentially developed areas. The greater use of land throughout the state, the more likelihood that groundwater issues may be a consideration in impacts to water quality from increased impervious surface areas and related stormwater management issues. Springs, or areas of land surface where groundwater provides baseflow to streams, feed wetlands, or provide ephemeral wet spots or hydric soils, are indicators of complex hydrologic regimes that should be factored into potential development areas. Shorelands are lands within the following distances above the ordinary high-water mark of navigable waters: 1,000 feet from a lake, pond, or flowage and 300 feet from a river or stream to the landward side of the floodplain. Shorelands should be given high priority for protection from development, especially those shorelands adjacent to wetlands. Floodplains are the land covered by floodwater during the regional 100 year flood. The floodplain includes the floodway and the flood fringe. The floodway is the channel of the river or stream and those portions of the floodplain adjoining the channel required to carry and discharge the flood waters or flood flows associated with the regional flood (NR115.03, Wis. Adm. Code). To prevent sewered development in areas prone to flooding, floodplains should be considered for exclusion from sanitary sewer service areas. DNR will not approve any plan or plan amendment that is not consistent with an approved county or state floodplain zoning ordinance. Definition - Wetlands are areas where water is at, near, or above, the land surface long enough to be capable of supporting aquatic or hydrophytic vegetation and has soils indicative of wet conditions (NR 103, Wis. Adm. Code). The presence or absence of physical alterations in the wetland resulting from human activity. Wetlands which have not been altered should be given high priority for preservation. The availability of reasonable alternatives to development of the wetland. Where alternatives are available, wetlands should be protected from development. The potential impacts of the proposed actions on other scarce natural resources in or outside of the wetland. Consideration should be for protection of the wetland when the area is or has been known to be a habitat for state or federally designated rare, threatened or endangered species; or where it is determined that the wetland type is scarce or rare either statewide or regionally. Presence of or proximity to scientific study areas, sanctuaries and refuges. Direct or indirect adverse impacts in these areas should be evaluated when reviewing an amendment to the plan. Effect on water quality of adjacent stream. Amendments should not result in an adverse effect on an adjacent stream. Such effects include interference with the maintenance of dry season stream flow; increasing sediment, nutrient or other pollutant loading to the stream and decreasing the instream plant and animal habitat conditions. Definition- The floodplain is the land calculated to be covered by floodwater during the regional (100-year) flood. The floodplain includes the floodway and the flood fringe. The floodway is the channel of the river or stream and those portions of the floodplain adjoining the channel required to carry and discharge the flood waters or flood flows associated with the regional flood (NR 116.03, Wis Adm. Code). Policy- To prevent sewered development in a high hazard area, floodplains should be considered for exclusion from sanitary service areas, and especially the floodway portion of the floodplain should not be included in a sewer service area, except where there is an existing development that must be served. Floodwater conveyance capacity. Amendments or plans which would result in a reduction of the floodwater conveyance capacity should be denied unless remedial actions are identified and approved before approval of the amendment or plan. Remedial actions must conform with NR 116. Existing development within the floodway. When there is an existing, lawful development within the floodway, a new plan or plan amendment may include the development within the boundaries of its proposed service area. Storm and flood water storage capacity. Amendments which would result in a reduction in storm and flood water storage capacity should be avoided or remedial actions should be identified. Definition - Shorelands are lands within the following distances above the ordinary high-water mark of navigable waters: 1,000 feet from a lake, pond or flowage and 300 feet from a river or stream to the landward side of the floodplain. Policy - Shorelands represent environmental features which should be given high priority for protection from development, and particularly those shorelands which coincide with wetlands as identified in the Wisconsin Wetlands Inventory maps. shoreline protection against erosion to reduce the flow of effluent, sediment and nutrients from the shoreland area. Potential adverse effects on habitats. Amendments in which the proposed activity could adversely disrupt fish and wildlife habitat should include protective measures. Storm and flood water storage capacity. Amendments which would result in a reduction of storm and flood water storage capacity should be avoided or remedial actions should be identified. Presence of, or proximity to, scientific study areas, sanctuaries and refuges, or scarce wetland areas. Consideration should be given to direct or indirect adverse impacts in these areas. Definition - This category is defined as any slope or gradient equal to or greater than 12 percent and any soil type occurring on a slope equal to or greater than 12 percent. Policy - In general, slopes equal to or greater than 12 percent, regardless of the soil type, and which are near surface waters should be excluded from sewered development areas. Steep slopes in combination with other environmental features should also be considered for designation as an environmentally sensitive area. Sewer Service Areas Plans and Plan Amendments - sewer service area plans should exclude steep slopes greater than 12 percent, which are near a stream, from sanitary sewer service. Where a local construction erosion control ordinance exists, the plan should be consistent with the slope restrictions of the ordinance. Amendments to the sewer service area plan should consider the following. Proximity of the slope to a stream. Amendments for sewered development on steep slopes which would result in direct runoff into a stream should be prohibited, or mitigation measures required for the protection of water quality. Amendments to allow sewered development on slopes should be the most cost-effective alternative and should be consistent with the existing development pattern and locally approved construction erosion control ordinances. This list includes any sensitive environmental feature that could benefit from protective measures. This definition can include discrete areas of natural resources, and scenic and recreational resource amenities that are critical to maintaining water quality and quantity. They also provide habitat and linkages that are essential for protection of biological diversity and are often associated with rivers and streams. Policy - Areas that include one or more of the above features should be considered for environmentally sensitive area designation if it represents an integral part of the stream drainage area. Sewer Service Area Plans and Plan Amendments - In the preparation of service area plans, appropriate state or local offices (e.g., State Historical Society, DNR Endangered Resources (or equivalent)) should be contacted to determine if any of these features are present in the planning area. Areas containing these features may be excluded from sanitary sewer service. Plan amendment requests to provide sanitary sewer service to an area with any of these features should be the alternative with the least disruption of the environment and should include remedial measures to provide maximum protection of adjacent water resources. There are environmentally sensitive areas that do not have a direct relationship to water quality protection, such as some upland woods and there are areas that normally are not delineated environmentally sensitive yet they potentially have a direct relationship to water quality, such as wellhead protection zones. There is no objection to including these areas in the sewer service area plan's environmentally sensitive areas; in fact their protection is encouraged. But the local community(s) should develop or plan to develop appropriate "conservancy" or review/regulatory authority or identify what local mechanisms are available to protect environmentally sensitive areas. This same concept holds with stormwater controls that go beyond state standards; the state will not preclude the community from protecting their resources but can not enforce their implementation, which must be donelocally. NR 121 does not provide authority to require protection of areas that are protected based on criteria other than water quality maintenance. Parks - The plan should consider including existing and future parks into the environmental corridors system. The community could, at its prerogative, designate other "conservancy zone areas", including parklands, woodlands and historic sites as environmentally sensitive areas. Local water quality assessment - The assessment can help identify the environmentally sensitive areas to be excluded from the sewer service area. Areawide water quality management plans for each nondesignated area shall be subject to a major review and update at least every 5 years (NR 121.08(2)(a)). Frequent sewer service area plan amendments or a community land use plan update are other signals that a plan update may be appropriate. Each area specifies its own amendment procedures to addresses plan amendments . Sewer service area "swaps" add and delete equal areas of land in the sewer service area boundary for no net increase in the sewer service area acreage. Documented "population projection adjustments" are a response to unanticipated growth, or other changes, in the 20-year sewered development plan. Changes to the locally approved population density standard. Allowances for sewer to unanticipated public park rest room or new factory just outside of town. Existing development" areas (and particularly those that suffer from failing onsite septic systems), can be added to the sewer service area plan if it's shown to be the cost-effective wastewater treatment alternative. Re-designation of "environmentally sensitive area" boundaries may be allowed if all applicable environmental permits are granted and it's determined that no significant adverse water quality impact would be created. Sewer Service Area map updates. The map is the graphic indicator of the community's sewered development. The map should include both current sewered areas and future development areas. The map should delineate the sewer service area boundaries along easily discernible landmarks such as roads, rivers and property boundaries. The following should be clearly delineated on the map: environmentally sensitive areas, proposed and existing interceptor lines, wastewater treatment plant(s), and vacant areas appropriate for "infill" development. This section describes what environmental and planning information should be included on SSA boundary maps (including environmentally sensitive areas) and which additional pieces of information should be included in the overall SSA Plan. Sewer service area maps are the graphic result of the growth strategy for the community's sewered development. The map should delineate the sewer service area boundaries along easily discernible landmarks such as roads, rivers, and property boundaries when possible. Because of the meandering nature of many environmentally sensitive area boundaries, those boundaries are harder to identify. Most, if not all, water quality planning agencies create the sewer service area and environmentally sensitive area boundaries on air photo maps for more critical boundary determinations. When the plan map can not include sufficient detail to identify all the boundaries, such as wetlands, this fact should be noted at the appropriate place in the text or maps. For example: "Note - The exact environmentally sensitive area boundaries must be located through a field survey by the Army Corps and/or DNR staff." Planning areas generally include all areas within the city, village and sanitary district limits. They should also include adjacent future development areas reasonable for the installation of an extended sanitary sewerage system, and existing development areas that may be experiencing failing onsite septic systems. Planning areas generally extend beyond the existing or future development areas to the nearest quarter section line. All environmentally sensitive areas within the planning area should be delineated. Sewerline siting - Proposed and existing interceptor sewer lines and force mains needed to serve the plan's anticipated 20-year growth should be shown on the sewer service area boundary map. NR 150 requires an environmental assessment for sewers with a diameter of 18" or greater, unless their location is established as part of the approved sewer service area plan. Since the design life of sewers exceeds the 20-year horizon of sewer service area plans, the time horizon for these facilities can be based on a longer time frame than that used for the sewer service area plan. The water quality planning agency should review the design parameters and ultimate service area of the proposed interceptor. Proposed and existing pump/lift stations should also be shown on the map. Wastewater treatment plant(s) - Show the location of the proposed or existing plants on sewer service area maps and discuss capacity issues in the facilities section. "Infill" Development - The sewer service area map should identify vacant areas appropriate for "infill" development. These areas should be included in the sewer service area residential and commercial/industrial acreage allocations as appropriate. Population projections. Updates to population projections are normally derived from data generated by the Wisconsin Department of Administration. Documentation of public participation. Documentation can include public comments, remarks from public hearings, and discussion by a local advisory council, where applicable. Population density. Discuss the population density standard adopted in the sewer service area plan. The number of dwelling units per acre can be influenced by zoning ordinances, land availability, and past and anticipated development trends. "Infill" and "brown fields." The acreage allocation should include existing developable urban areas already served by utilities and service infrastructure. The area may have been by-passed by development or could be available for redevelopment. This type of land includes "brownfields," or commercial and industrial lands perceived to be unsuitable for new development due to past site contamination and concerns associated with property owner liabilities. These lands are often tax delinquent and vacant. Cost-effectiveness. Sewer service area plan development should discuss alternative land development costs as they relate to wastewater treatment and collection system design. The area wastewater facility plan may already include some of this information. Steep slope delineation. Steep slopes are defined as any slope or gradient equal to or greater than 12 percent and any soil type occurring on a slope equal to or greater than 12 percent. In general, steep slopes that are near surface waters should be excluded from sewered development areas. Steep slopes should be considered for environmentally sensitive area designation. The acreage allocation is the product of the 20-year population projection and the locally adopted population density standard (number of units per acre). NR 121 requires an acreage allocation based on anticipated residential needs to determine the sewer service area delineation. Industrial/commercial development needs aren't addressed by the code; the acreage allocation for those uses is addressed separately. Population projections used in the sewer service area plan should be derived from data generated by the state Department of Administration - Demographics Services Center. Discuss the population density standard adopted in the sewer service area plan. The number of dwelling units per acre can be influenced by zoning ordinances, land availability, and past and anticipated development trends. The acreage allocation should include existing developable urban areas already served by utilities and services infrastructure. The area may have been by-passed by development or possibly be an area available for redevelopment; this type of land includes "brownfields". Brownfields are commercial and industrial lands perceived to be unsuitable for new development due to past site contamination and concerns associated with property owner liabilities. These lands are often tax delinquent and vacant. Sewer service area plan development should discuss alternative land development costs as they relate to wastewater treatment and collection system design, avoidance of major environmentally sensitive areas, and housing density standards. The area wastewater facility plan may already include some of this information. A "market factor" to anticipate the affect of local development trends or patterns on the sewer service area plan's acreage allocation is optional. Most plans make no mention, or only brief mention, of a multiplier, alleged to bring the 20-year sewer service area acreage allocation figure into a greater semblance of the real world real estate marketplace. The principle is that without the market factor, the plan assumes that every property included in the sewer service area acreage allocation is available and desirable for development. Proponents of a market factor feel a conservative acreage calculation doesn't allow flexibility for over-priced properties, properties not being placed on the market, or buyer whimsy. If department staff feels a market factor is too liberally or unreasonably used, a discussion with the water quality planning agency and the community representatives could appropriately emphasize the pros and cons of application of too liberal an acreage allocation. Communities are free to determine their own population density standard, which can lend itself to being easily manipulated to obtain a greater residential area acreage allocation. NR 121 specifies the use of local accepted density standards and population projections in the development of a sewer service area acreage allocation. For nondesignated areas, a local advisory committee must be involved in the planning process. The plan should discuss the advisory committee's involvement in the planning process to assure that local input is present throughout the development of the plan. Optional operating guidelines for the local advisory committee. Discuss the input received through public participation at public hearings and meetings with the local advisory committee (for nondesignated areas). Designated areas must have a minimum of one public hearing on areawide water quality management plans or plan revisions prior to local adoption/denial and prior to the plan being sent to the department for action. To install new sewer lines, a community needs a sewer extension "conformance letter" from the water quality planning agency, sometimes referred to as the water quality management (WQM) letter. The agency needs to determine that the proposed development lies within the sewer service area, but not within an environmentally sensitive area. 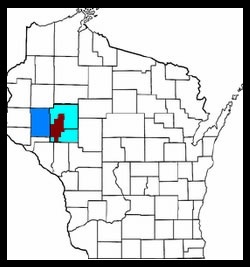 After the community has received the conformance letter from the water quality planning agency, they send it to the DNR Bureau of Water Quality, Wastewater Program, for approval, along with proposed construction plans and specifications. The Department, in adopting NR 110, Wis. Adm. Code, required that all facility plans and all plans and specifications for reviewable projects, including sewer extensions, must be in conformance with the areawide water quality management plans. In the event that a water quality planning agency could not perform the conformance review, the Bureau of Water Quality can perform that responsibility for the Department. Certain plumbing plans submitted for state approval also to be in conformance with the areawide water quality management plan. Most new commercial buildings and apartments larger than a duplex fit into this category. Before the DSPS - Safety and Building Division can approve the plumbing plan, the contractor needs a conformance letter from the water quality planning agency stating that the proposed structure is within the sewer service area but not within an environmentally sensitive area. The environmentally sensitive areas shown on the sewer service area maps are a representation of the conditions at the time of map preparation, using the best available data. The map likely does not reflect field survey work that specific development proposals require. The presence and location of wetlands, navigable waters, floodways, floodplains and similar site features must be verified by field survey, and applicable permits must be obtained prior to any land disturbing activity -- preferably before the sewer service area plan amendment is submitted to the DNR, as staff will evaluate the navigability of any streams involved and whether or not a water quality certification is needed before promulgating an administrative decision. In the event of questions or controversy regarding an environmentally sensitive area delineation on a specific site, the department water resource planner or rivers and regulations administrator should participate in field work with the water quality planning agency, Army Corps of Engineers and city, county and/or DNR zoning administration staff, as appropriate. The plan should also clearly state that a site inspection takes precedence over the sewer service area map. Sewer service area plan approvals are formal amendments to the state's Areawide Water Quality Management Plan. Plan and plan amendments, once approved by the local community are forwarded to the Wisconsin DNR for administrative decision to update the state's AWQM Plan. These decisions are based on the elements and considerations outlined in NR121. Annually DNR transmits updates to USEPA for certification as an amendment to the state's WQM Plan. Each sewer service area program is developed locally, with specific procedures, criteria and review processes customized and documented in the respective SSA Plan. Generalized answers to common questions are listed below. What water quality protection does SSA planning authorize? What is a "CWA Section 208 conformance reviews"? When is conditional sewer service area plan approval used? Can development occur in environmentally sensitive areas? What sewer service area amendment requests are allowed? What are sewer service area amendment procedures? What are the amendment review criteria? What are SSA plan updates? What if there is opposition to a proposed amendment? What is the decision appeal procedure? Water quality planning agency responsibilities? What degree of water quality protection does sewer service area planning authorize? The legal authority for sewer service area planning is derived from federal and state water pollution control legislation. The best assurance for the State of Wisconsin meeting these water quality goals is to prevent our groundwater and surface water from becoming polluted in the first place. Sewer service area planning helps preserve clean water by preventing sewered development in environmentally sensitive areas where it would cause adverse impacts to the waters of the state. The decision to approve or disapprove a sewer service area plan or amendment needs to be based on whether environmentally sensitive areas in the planning boundary are accurately delineated and protected against adverse water quality impacts. There is good scientific data and a regulatory history to support floodplain, shoreland and wetland zoning prohibition on most development in those environmentally sensitive areas. There are also a number of sewer service area plans that include steep slopes of generally greater than 12% and highly erodible soils in the environmentally sensitive areas designation, especially where they may adjoin shoreland corridors or wetlands. Additional considerations for water quality protection include providing a buffer for environmentally sensitive features, which specifies the land area between the sensitive feature and potential development that may take place. Providing a buffer helps ensure that water quality impacts will not occur from future development - not notably sewerline construction and construction site erosion. implementing the plan with a high level of coordination and cooperation among environmental, development and planning agencies and interests. Often the delegated or contractual planning agency in nondesignated areas and the designated planning agency in designated areas provides a review of local sewer extension plans and specifications to determine if the plans are in accordance with the goals and objectives of the area's "208 plan", or in nondesignated areas, the areawide water quality management plan or basin plan. Note that the basin includes the actual plan and any amendments, including nonpoint source priority watershed plans, remedial action plans, other sewer service area plans, stormwater or erosion control plans recommended by the basin plans and co-funded by the state, as well as other plans recommended by the basin plan and funded by the state. These plans, cumulatively, should provide the parameters through which conformance reviews should be conducted. More specifically, if a sewer line is planned to cross valuable wetlands in an area funded for priority watershed project implementation and one of the goals of the priority watershed project is to maintain and restore wetlands in the watershed, the conformance review should involve an assessment of what the sewerline's impact on that goal will be. The conformance review process may recommend changes to the initial plans and specifications to avoid crossing wetlands in these sensitive areas. This type of pro-active evaluation at the local level will help avoid costly reviews and delays at the state level. When are conditional approvals used? Resource managers evaluating a site can use various plans to help them determine whether requiring specific conditions, or prohibiting sewered development, is necessary to protect water quality. Plans to reference can include the areawide water quality management plan, sewer service area plan, stormwater management plan, fisheries plan and nonpoint source priority watershed plan. However, approval or denial of a sewer service area plan can not be based solely on compliance with the recommendation(s) of any of the above mentioned plans. Plan approval or denial should be based on water quality protection. The water quality basis for decisions must be found in NR 121. NR 121.05(1)(g)2.c. "Major areas unsuitable for the installation of waste treatment systems because of physical or environmental constraints are to be excluded from the service area. Areas to be considered for exclusion from the sewer service area because of the potential for adverse impacts on the quality of the waters of the state from both point and nonpoint sources of pollution include but are not limited to wetlands, shorelands, floodways and floodplains, steep slopes, highly erodible soils and other limiting soil types, groundwater recharge areas, and other such physical constraints." If a site evaluation should find environmentally sensitive areas that, though not delineated, are determined to fit the NR 121 definition above, then conditions to protect water quality could be added to the department sewer service area plan decision letter. The condition needs to be the difference between whether or not the area is suitable for development. Please note, the code makes no indication that the size of the water resource feature is critical to its qualification for water quality protection. A sewer service area plan regulates only sewered development. Its authority does not prohibit unsewered development from occurring in environmentally sensitive areas (though these areas may be regulated by the U.S. Army Corps of Engineers or other agencies). From time-to-time, however, sewer service area plans or amendments are proposed that would remove land from the environmentally sensitive areas designation, possibly allowing sewered development with potential adverse water quality impact. Development in certain areas may require a Clean Water Act Section 404 permit or a Wis. State Stats. Chapter 30 permit and an accompanying 'water quality certification' that the proposed action complies with NR103. Lands removed from an environmentally sensitive areas designation should not include any areas with development constraints that would adversely impact ground water or surface water quality. For example, an amendment that removes wetlands from an environmentally sensitive area will not be approved unless it is shown that fill for development of the proposed site has received a valid federal permit and wetland water quality certification. Sewer service area amendments must be approved by the department before the water quality planning agency can write a sewer service area plan conformance letter for a sewer extension in the area. Environmentally sensitive area delineations sometimes include features that are not water quality related, so not every environmentally sensitive area development proposal will require a permit. The department has approved amendments to remove land not associated with water from the environmentally sensitive area designation, such as some parks and historic sites. Removal of any area from the environmentally sensitive area designation should go through the Department review process; however, areas that do not involve a water quality concern will generally be processed faster than those which require a permit. Although a proposal to develop in an environmentally sensitive area is most likely to arise within the context of an amendment, a new plan or plan update could subtlety achieve the same result by excluding certain environmentally sensitive lands from the designation. Policies developed for delineating environmentally sensitive areas and policies for the amendment review process (i.e.,, minor versus major amendments) can have separate administrative decisions. For example, a sewer service area plan or plan update can be approved for the land area separate from the administrative decision for the associated policies. DNR can promulgate an administrative decision on the plan's policies at a later time, after the amendment has been processed, to affect all areas not yet platted in the sewer service area boundary. Since the environmentally sensitive areas review is completed as part of the initial sewer service area plan, a separate review is not generally performed again for amendments. However, the accuracy of new sensitive areas delineations should be consistent with, or have finer-scale accuracy over, the initial plan. Environmentally sensitive areas that may be affected by development proposals should be reviewed through field inspections when actual development and/or amendments arise. Coordinate with Permit staff for environmentally sensitive area development proposals to fill, dredge, or modify lands within the wetland/shoreland zone. The water quality certification process applies to both Section 404 Clean Water Act and Wis. State Stats. Ch. 30 permit applications. Check also with the Wastewater Management Program for coordination with possible facility planning in progress. Through good communication, and by providing the opportunity for public input, the local water quality planning agency and the department may be in agreement on the recommendation and the decision for each sewer service area plan, updated and amendment. A change to the locally approved population density standard. The "unique" amendment procedure allows for sewer to the occasional unanticipated public park rest room, or new factory just outside of town. "Existing development" areas (and particularly those that suffer from failing onsite septic systems), can be added to the sewer service area plan if it's shown to be the cost-effective wastewater treatment alternative. Redesignation of "environmental corridor" boundaries may be allowed if all applicable environmental permits are granted and it's determined that no significant adverse water quality impact is created. Some planning agencies have proposed the use of 'Minor' versus 'Major' Amendments. The use of minor amendments is appropriate if the subject of the minor amendment involves a previously approved action by the Department, such as a revision to floodplain maps (FEMA) or Wisconsin Wetland Inventory Maps. Use of a minor amendment is also appropriate for instances in which a stream crossing is involved in installation of necessary utilities. However, use of the minor amendment process, which often involves only the local planning agency and little or no notification of the change to the DNR, is inappropriate for changes to environmentally sensitive area designations other than for those reasons mentioned above. The Dane County Regional Planning Department (now Capital Area Regional Planning Commission) developed a document that outlines the minor versus major amendment process for environmentally sensitive areas; DNR supports the set of definitions Dane County has developed. What are the sewer service area amendment procedures? Geographical location of the area, including the section, township and range, community, and county. A map of the proposed amendment area (and area to be deleted if it's a "swap amendment"), showing its relationship to the existing sewer service area boundary, or location of lands designated as environmentally sensitive areas that will be excluded from sewered development. Environmentally sensitive areas should include wetlands, shorelands, floodplains or floodways, steep slopes and other areas as determined by the sewer service area plan. Maps should have adequate detail to precisely identify boundaries. Description of existing and proposed land uses, population, wastewater generation and means of collection from the area. The applicant should include information indicating how the proposal relates to any adopted community land use plan(s), Department of Administration (DOA) accepted population projections, and wastewater treatment plant capabilities. Wastewater treatment alternatives and analysis of their capital and operating costs should also be discussed. A stormwater management plan for the area may be required when the development's impact would create an adverse water quality impact - either a local impact or contributions to a cumulative impact. Documentation that all property owners in areas proposed to be deleted (swapped) from the sewer service area were notified of this request. A copy of the public meeting announcement and a brief summary of the views expressed at the meeting(s). A copy of the resolution adopted by the water quality planning agency, recommending approval of the plan amendment to the DNR. Other sewer service area plan amendment requirements as negotiated between the Department and the local water quality management agency. The water quality planning agency may request additional information from the applicant or consult with others to obtain information related to the need and impacts of the proposed change as necessary to conduct a complete analysis of the amendment request. Following a public meeting, the local agency, usually the regional planning commission, makes a decision to approve, approve with conditions, or deny the amendment request, utilizing their local review criterion (see Amendment Review Criteria below), and they forward their decision to the DNR. When the department regional and central offices receive the water quality management agency letter of decision on the amendment, including their staff analysis and the information that had been submitted by the DMA, it is reviewed for conformance with NR 121. The department decision on the sewer service area plan is based on whether or not the amendment presents any significant adverse water quality impacts. Water quality protection criteria, such as those that follow, need to be adopted to evaluate future plan amendments. And be sure that the plan itself also meets its own criteria. Most of the following amendment review criteria are from East Central Wisconsin Regional Planning Commission (ECRPC) sewer service area plans. Sewer service area amendment approval may include conditions if they are necessary to protect water quality. The amendment should be cost-effective compared to other waste treatment alternatives. This analysis may be required from the applicant. The environmental impacts may be assessed in accordance with the criteria established in the DNR environmental assessment checklist. The water quality planning agency will provide a water quality impact assessment. Areas unsuitable for development (environmentally sensitive areas), must be identified and excluded from sewered development. The wastewater treatment and collection systems will be evaluated for their capacity and ability to handle and treat projected flows. At the option of the local community, the amendments may require consistency with locally adopted land use/transportation plans. Amendments shall have a common boundary with the current sewer service area and shall not create a void within the service area. Satellite sewer service areas extended to serve an existing development that has failing onsite sewage systems may be an exception to this criteria. Resource managers evaluating a site can use various plans to help them determine whether requiring specific conditions, or prohibiting sewered development, is necessary to protect water quality. Plans to reference can include the areawide water quality management plan, the existing sewer service area plan, stormwater management plans, fisheries plans and nonpoint source priority watershed plans. NR 121 calls for sewer service area plan status review and a possible plan update requirement every five years. Frequent sewer service area plan amendments or a community land use plan update are other signals that a plan update is probably in order. If the DNR receives written opposition to a proposed sewer service area plan or amendment from an affected DMA the department may conduct the following review procedure. After a thorough evaluation of the sewer service area plan or amendment the DNR will prepare an environmental assessment (EA) of the proposal. A copy of the assessment will be available for public review and comments. A news release will be issued announcing the availability of this assessment. A public informational meeting may also be held to allow public input on the proposed amendment. A decision on the need for a meeting will be made after the department considers all comments, including the comments on the EA. The department will make a final decision on the sewer service area amendment after reviewing all the comments received through the EA process or the public meeting, if held. Any subsequent conformance reviews will be based on the amended plan. The department will accept a DMA appeal of an amendment proposal that has been denied by a water quality planning agency. The department does not accept revisions or personal appeals submitted by developers, individuals or other organizations. Any person aggrieved by a department water quality management plan decision has the right to file a judicial appeal of the decision. Wisconsin Statutes and Administrative Code establish time periods within which requests to review department decisions must be filed. For judicial review of a decision pursuant to s. 227.52 and 227.53, Wisconsin Statutes, a petition for review must be filed within 30 days after service of the decision. The respondent in an action for judicial review is the department. Who's involved in implementation and what do they do? The parties involved in developing a sewer service area plan must clearly identify the steps to be taken to implement the plan. After the plan is approved, the day-to-day implementation begins. Implementation responsibilities are carried out by the various local governmental units involved, the water quality planning agency, DNR and the Department of Safety and Professional Services (DSPS). Such a cooperative effort will assure that the recommendations contained within the plan are carried out and that the goals and objectives identified in the plan are not circumvented. The water quality planning agency may be a designated planning agency like the Southeast Wisconsin Regional Planning Commission (SEWRPC) or a contractual planning agency. The plan should discuss how the agency will review sewer service area plan amendments, sewer extension requests, certain plumbing plans needing state approval for conformance with the water quality management plan, and holding tank septage assignments to the sewer service area wastewater treatment plant.